Ahead of the Zuckening on Tuesday afternoon, Twitter formally declared support for the Honest Ads Act, legislation crafted in the wake of the previous great social media scandal—Russian propagandists targeting American voters with fraudulent ads online during the 2016 presidential election. Twitter, which had previously announced plans to rein in political ads and label them clearly for users, today embraced the legislation that was introduced late last fall by Senators Mark Warner, Amy Klobuchar, and John McCain. The Honest Ads Act would require under law online platforms like Twitter and Facebook to include disclosures identifying the purchases of political ads, maintain a file of ads and candidates that can be accessed by the public, and overall improve the methods by which they police their platforms in regards to foreign interference. During hearing before the Senate Judiciary and Commerce committees on Tuesday, Facebook CEO Mark Zuckerberg also reaffirmed Facebook’s commitment to helping pass the legislation. In a series of tweets, Twitter’s policy department said it was pleased to support the bill and reminded users that it had already taken steps to come into compliance with its unpassed measures. The company’s intent, it said, was to surpass the regulatory efforts through the use of its Ads Transparency Center launched last fall. 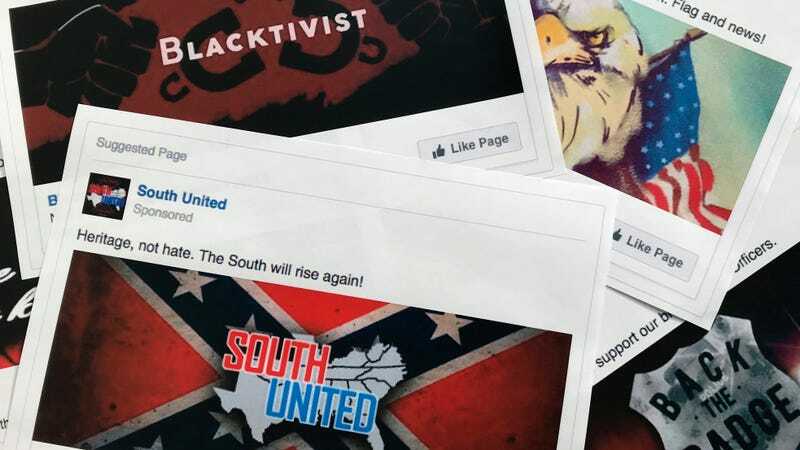 The Honest Ads Act, which does not address many of the more covert uses of Facebook by Russian trolls during the election, sprang in part from outrage over the blithe way in which Zuckerberg previously addressed the issue. “Personally I think the idea that fake news on Facebook, which is a very small amount of the content, influenced the election in any way—I think is a pretty crazy idea,” Zuckerberg said last year. He has since walked back the statement. Speaking as a witness before Congress, Zuckerberg promised to investigate “every single app that had access to large amounts of information” in response to news that Cambridge Analytica, a political consultancy hired by the Trump campaign, acquired the personal data of more than 170 million users without their consent.